The spores of fungi surround us everywhere and we inhale thousands if not more of them every day. Among them – notorious Aspergillus fumigatus, one of the most common causal agents of hospital acquired infections with a mortality rate of up to 40-90%. But how do healthy people resist fungal infection? Scientists from the US, Germany and Israel now found that when we inhale fungal spores our immune system triggers a mechanism for self-destruction – forcing the spore to commit suicide (Science). It was already known that there are plant-infecting fungi that protect their cells from self-induced cell death by assembling protective proteins (called survivins). “We wanted to know whether these are also important [in humans]. We had no idea [what we would find] – and that our human neutrophils simply need to push the suicide button of the fungus”, explains co-author Prof. Gerhard Braus of the University of Göttingen in Germany. Neutrophils belong to the white blood cells, defensive cells that are part of the immune system in humans. With the help of fluorescence markers, the scientists first identified signs of programmed cell death in fungal spores after these invaded the lungs of healthy mice including caspase activity, fragmentation of DNA and finally cell death. A. fumigatus too, possesses a protective protein (BIR1) that under normal conditions helps to prevent activation of the cellular suicide. The scientists discovered in a next step that higher levels of BIR1 in an overexpression strain boosted survival of the spores under stress conditions in vitro (artificial conditions) and that suddenly the spores also withstood the attacks of the immune system in the mouse lung! Healthy mice inhaling the altered spores developed invasive aspergillosis significantly more often than mice inhaling the control strain. 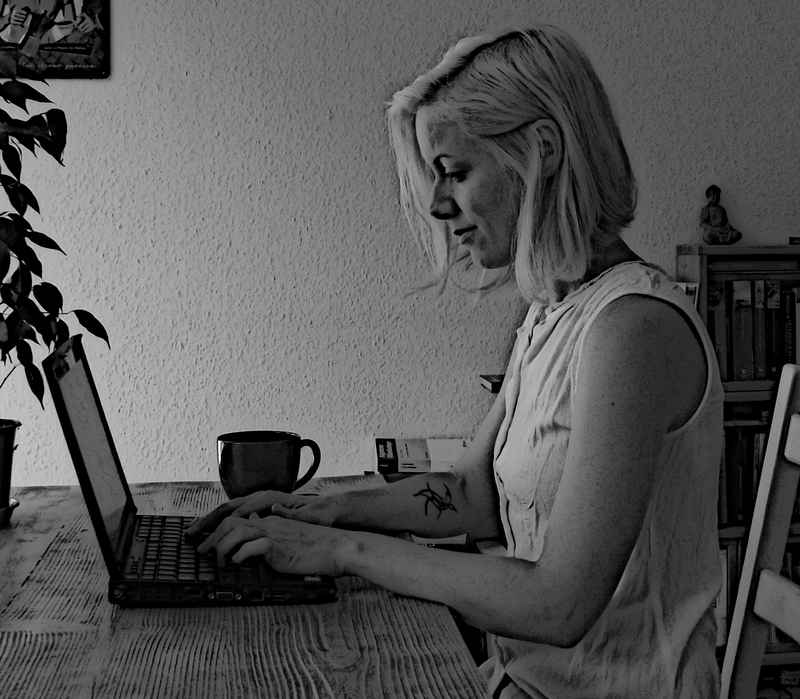 „Basically, we don’t have any weapons against the fungus – and if that trick with the suicide button doesn’t work, the mouse – and apparently we too – are in trouble”, Prof. Braus comments on this discovery. The spores protect themselves much better now (tumor cells act in similar ways, by the way), or in other words, the immune cells of the mouse are no longer successful in triggering the spore’s suicide. 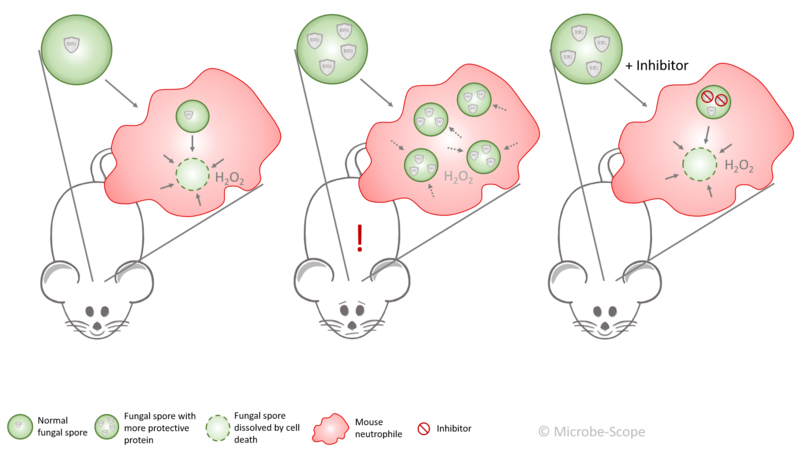 Under normal conditions the mouse neutrophil takes up the fungal spore and bypass the protective protein – the spore is forced into self-destruction. If the spore produces more protein, the neutrophil fails to combat the spore and takes up more of them. The spores finally germinate and infect the lung. The mouse falls ill. If an additional compound inhibits the increased amount of protein, the neutrophil copes much better and the mouse stays healthy. 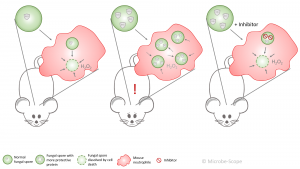 Finally, the authors successfully “treated” the mice by letting them inhale a known inhibitor of BIR1 in addition to the altered spores – they found that breaking the fungal shield helped the mouse’s neutrophils to defeat the spores by sending out an H2O2 signal. 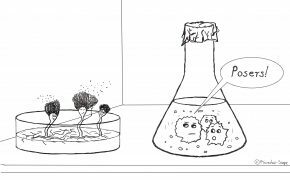 Human neutrophils send out that same signal, making it very likely that they exploit the same mechanism to clear the lung of spores. The system by which human cells protect themselves against programmed cell death fundamentally differs from the fungal system, which is one of the reasons the authors emphasize that their discovery may have important implications for the clinical setting. 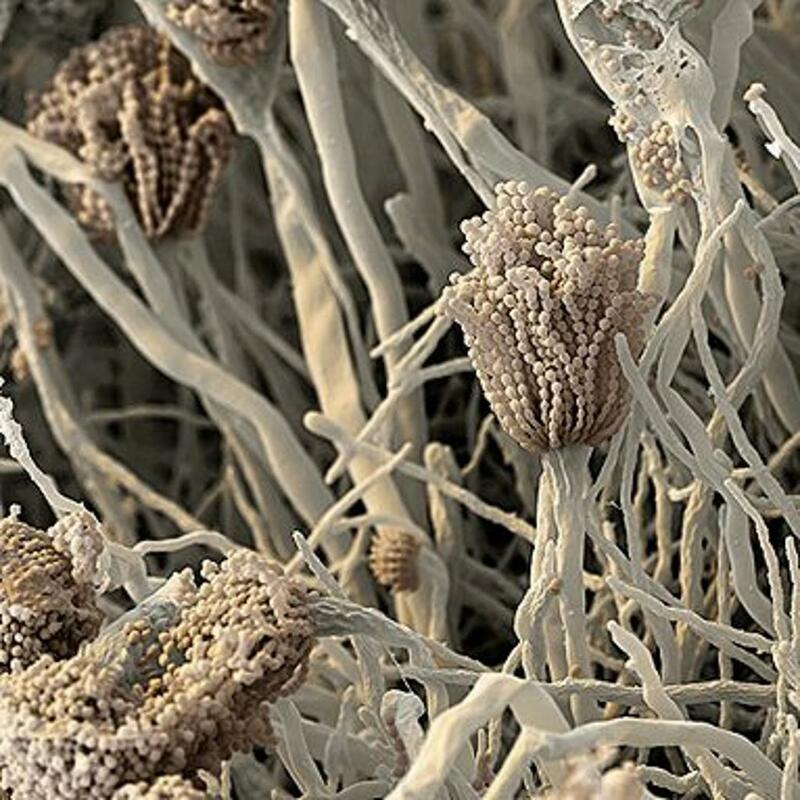 Knowing that the amount of that protein may pave the way either to illness or health could be a key to developing novel therapeutic approaches to combating invasive aspergillosis in hospitalized patients.